Visit our introduction page or contact our new member coordinator with your questions. 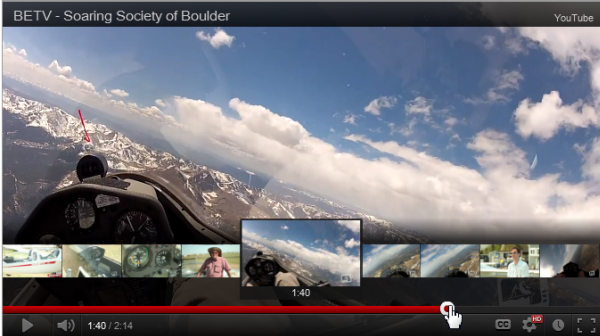 One of our members hosts an informative vlog and resource about Boulder soaring. You can also follow members activities on Facebook . Our friends at Boulder Edge TV produced this beautiful video about the SSB. To watch click on the image. 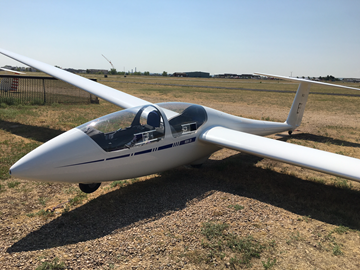 A DG 505 Orion two place glider is available for the enjoyment of our members. 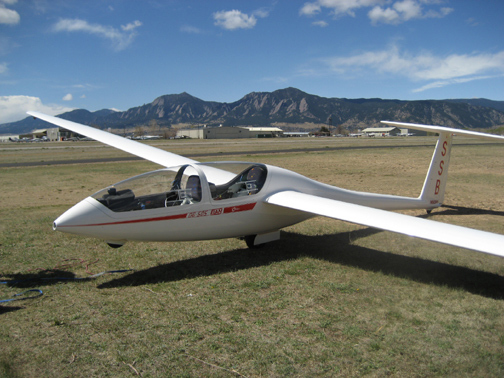 The glider will be used for advanced cross country training. The ASK21 is the gold standard in two place trainers. We have one at Boulder for the enjoyment of our members!